Marijuana SEO or Cannabis Search engine optimization is your gateway to more customers in Canada, Australia, the United Kingdom and parts of the United States, where cannabis has been legalized. At Rebel Cannabis Marketing, we live for one sole purpose, grow sales for our cannabis marketing clients through Google visibility and traffic production. 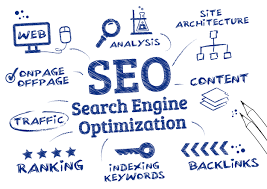 Search engine optimization and search engine marketing are the best ways to set your company apart from the competition. We have obtained thousands of top rankings in the cannabis industry for our clients and grow that number each month. Ask for the proof! Marijuana SEO is not easy and many marijuana marketing companies will charge you big dollars and never produce results. We believe the search results are everything and we track and share them with you so you, the business owners, can follow the progress. To us, SEO is like chess and we play to win. Like Chess, Marijuana SEO is a game of strategy and patience with a long-term plan always in effect. Medical Marijuana has thousands of potential customers in Canada and around the world. 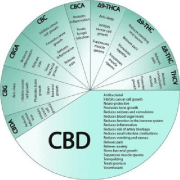 If they cannot find your cannabis business, then you will not gain market share. Digital marketing and content marketing allow a low-cost vehicle to get your sales message out. With unusual barriers preventing easy advertising routes, marijuana businesses are left to depend on organic traffic. Grow your business with Marijuana Marketing. Make online marketing generate business and sales for your company. You can have the most beautiful website design but if Google does not see it the same way, your search rankings will never materialize. In the cannabis industry, things like search engine rankings and Google my business can provide organic traffic to keep sales growing. In Canada Cannabis is legal for all adults as of October 17, 2018. This new law will have rolling effects around the world as other countries look to Canada and its medical marijuana model as well as recreational cannabis laws. The sooner you claim your space on Google, Bing, and DuckDuckGo, the easier it will be to maintain. Do not let this early time in the industry slip past. Make your mark today! Contact an SEO expert today to have your websites reviewed for free. We are a leader in Cannabis SEO and Marijuana marketing in the first open legal cannabis nation, Canada. Our team also works in both Australia and the U.K cannabis markets, promoting and marketing new and emerging companies in this space. If your company is entering the cannabis industry, give us a call, we are always interested in new partnerships and can assist clients in making an online name for themselves in weeks rather than years like our competitors want you to believe. Need traffic to your cannabis related websites? Foot traffic to your dispensaries? Want display ads that work for your advertising campaigns? Not sure how to get the highest quality back-links to increase your Google rank? Let us help! We live to market and SEO is the tool of choice in the cannabis sector. Rebel Cannabis uses proven methods and tracks them with advanced analytics and data to build an online presence that anyone can find. All plans are different and we tailor it to your companies needs and budget. Cannabis SEM or Search Engine Marketing can provide organic traffic and growth for your company now and for years to come with solid search results. Our team has over two decades of experience in the consumer products industry driving traffic to eCommerce web platforms and building visibility on Google and Bing for our clients. Start your SEO campaign while competition is still relatively new and you can still get a foothold. Every month you put it off, will just increase the cost to get to the same goals had you started sooner. We write cornerstone content for companies that will provide traffic day after day. With decades in the cannabis culture, our expert team has the knowledge and skill to produce quality content for your site. Social media is becoming more and more of an SEO factor in today’s SERP results. Rebel Cannabis makes sure that your social media marketing is on target. We keep your results strong using social citations so that your customers and patients can find you. Being active and engaged on social media not only improves your relationship and engagement with potential customers and patients, but it also helps boost your SEO rankings if done properly. The best social media platforms for your business will vary based on your cannabis businesses particular strategy, but every business should at least have an Instagram, Twitter, Facebook and Google+ page to start. Facebook is a wonderful way to reach new audiences and patients at a low cost. With it, you can send targeted traffic back to your website. When used properly Facebook, Instagram and Twitter can provide solid forms of traffic to your web domain. Google+ is not as popular but is a Google product. All posts generated there are indexed by Google and can help your search rankings. There are a ton of cannabis-related directories on the internet like Weedmaps, Leafly, Ganjapreneur, and Leafbuyer to name a few. These directories exist to help put customers in touch with your stores and products! Our team can make sure you are listed and linked from all the top directories. We even check the toxicity of the links afterward to make sure they will only help your rankings. Not all links are created equal or of the same value. We show you the good ones and help you remove toxic ones. The best way to find these websites is with a simple Google search. For new sites with low domain authority, these sites offer a way of getting your message out before you can rank yourself. We always start here and workout to build your reputation and authority online through white hat methods. Do you know how many backlinks our website has? Do you know how many people came to your site last month? Any idea what keywords brought the most traffic to your site? Let us help you. We offer free SEO audits that help you see where you stand clearly. From there we can build a plan of attack that suits you and meets your budget. It is that simple, so do not let valuable time pass you by. If you have questions, we are always here to help and consultations are always FREE! For a list of client SEO examples please contact us today! Results are all that matter. 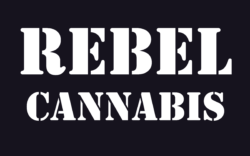 Rebel Cannabis marketing is a global leader in marijuana SEO, cannabis branding, medical marijuana advertising, dispensary promotions and much more!